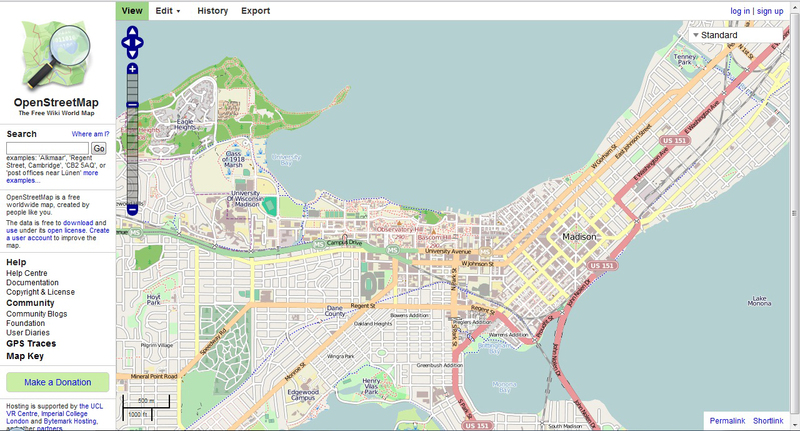 Nowadays there are really two options for making an interactive web map: use somebody’s pre-fab tiles, or make and serve your own. Self-publishing used to be tricky business, but improving tile-rendering software and hosting services are making it easier. This process will be addressed in Section 5. Most mash-ups are still done atop big public tile sets, however, so it’s worth it to try and catalog the ones that are currently out there. 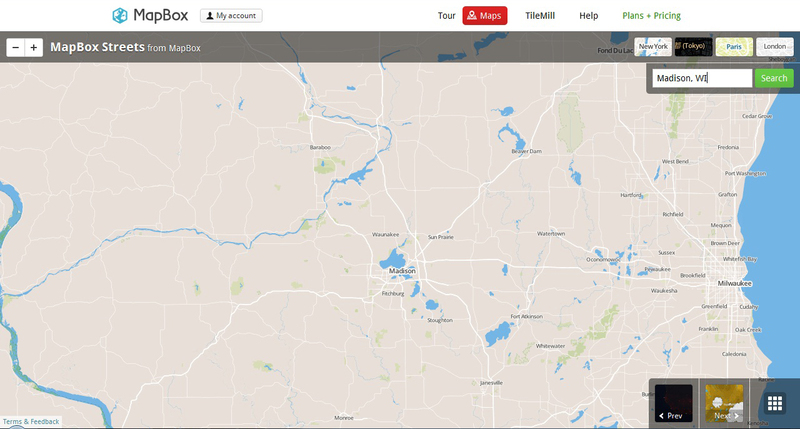 If there’s an up-to-date list of tile services already out there, I haven’t found it. The closest thing is a woefully incomplete page on Wikipedia.6 This is understandable, as it is hard to keep up with the fast pace of development and change in these services. The advantage of going the public tile service route is that there is a lot of good stuff already out there that can be accessed with a small amount of script. The list below is all of the public tile services covering the U.S that I have found. Many draw their data from the same sources but style them differently (Navteq and OpenStreetMap are the two most common data suppliers for the U.S., while there are other suppliers that cover other parts of the globe). Some (e.g. 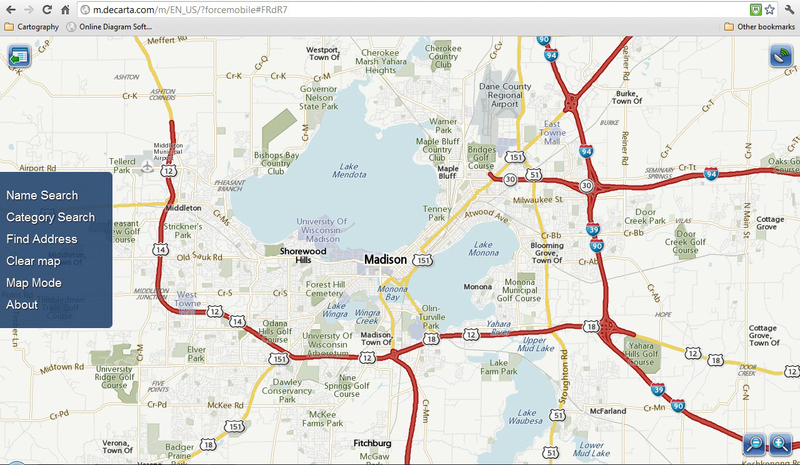 Google and ESRI) are cached, meaning the servers store a collection of static raster images which are sent in response to a client request, while others draw each tile from database data on demand. The descriptions below represent my own opinions on the cartography and functionality involved in each service at the time of this writing (June, 2012). 1. Google Maps: by far the most popular, Google changed the game when it published its API shortly after coming online back in 2005. Most folks with an internet connection faster than dialup are pretty familiar with the layout, zoom tools, base map controls, etc. Certainly, Street View is a nice feature (if you’ve never seen one in person, Google literally hires people to drive around in Priuses with funky-looking 360-degree cameras mounted to the top all over the world to get their photos). 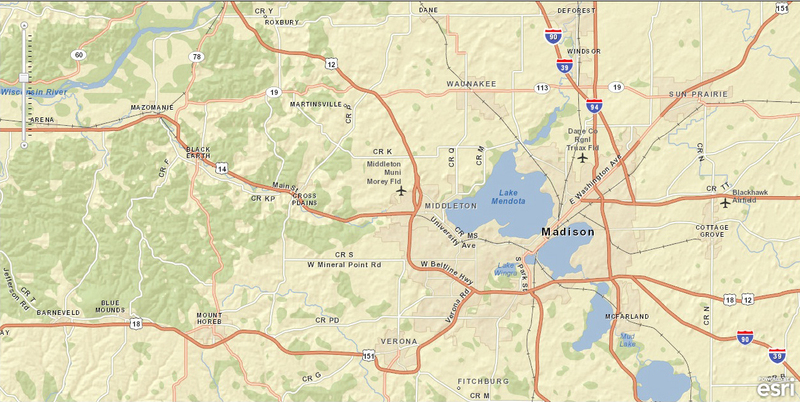 There are three base maps to choose from: street map, imagery (with or without a labels layer), and terrain, which is a nice combo of shaded relief and contours. Google’s API has a lot of functionality and styling options, and the new Fusion Tables service makes it a lot easier to render data dynamically, although it still has strict limits on how much data. It’s pretty easy to just drop an image or a bunch of point features on top of the map, and you can include the draw tools from My Places for users to add vectors on top. 11. Yahoo! 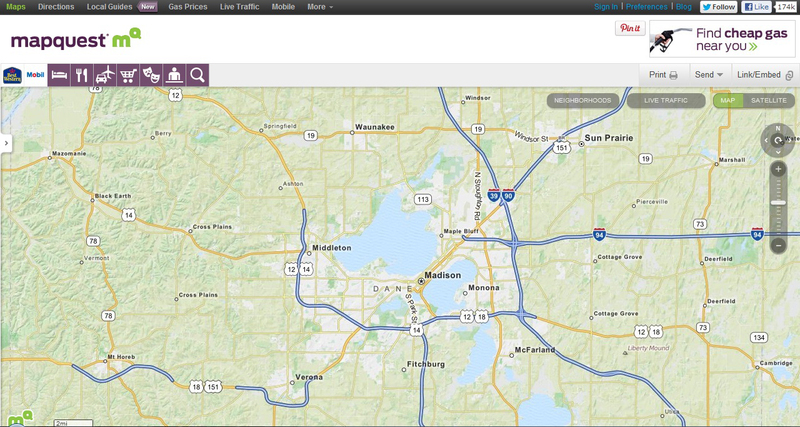 Maps (depricated): Worth mentioning only because they were once one of the Big 3 search engines with a map service. 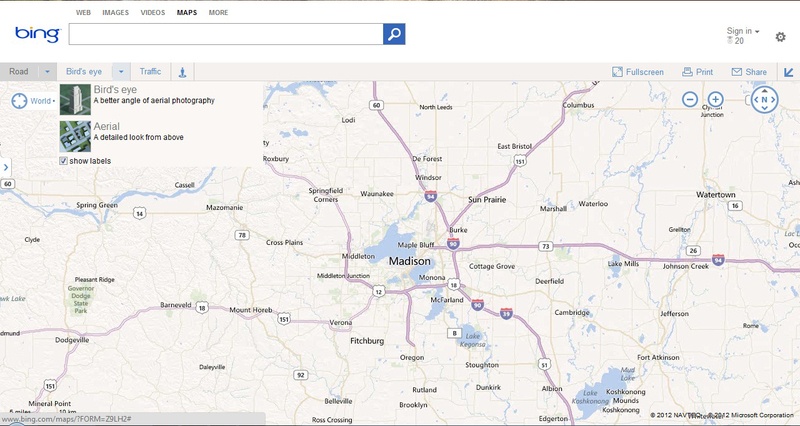 After forming a partnership with Nokia, in 2011 they completely deprecated their maps API. If you’re thinking about making a mash-up with Yahoo! Maps… don’t. 12. 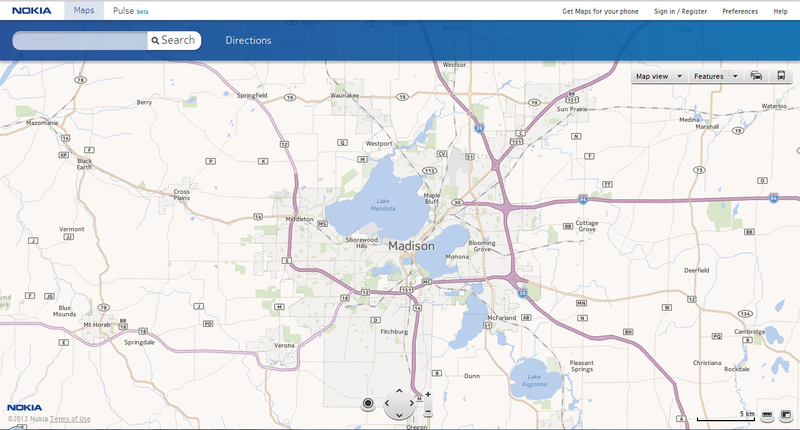 MSR Maps (depricated): Shut down on May 1, 2012, the service once known as Microsoft Terraserver came online in 1998 and was the first internet repository of viewable aerial imagery and USGS topographic quadrangles at multiple scales. 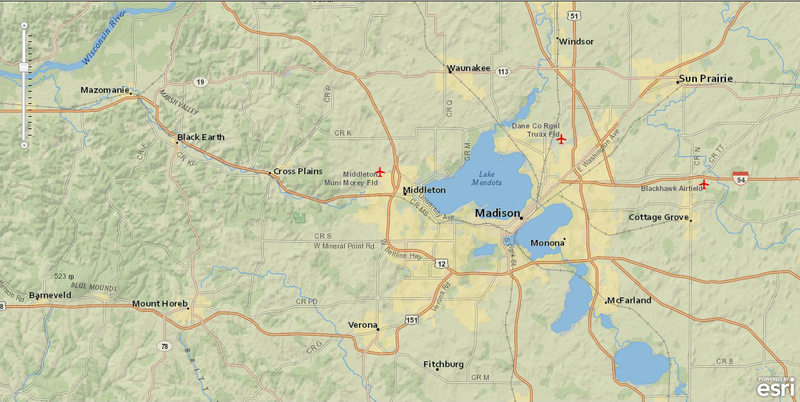 Though since outpaced in interface features and image quality (it served black and white photos taken from aircraft), MSR Maps was still my favorite for quick access to USGS topo quad data. It had a limited API designed to provide access from .NET applications. 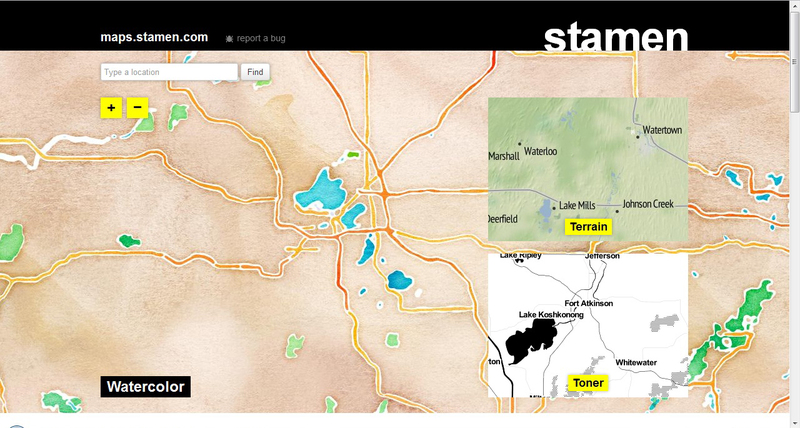 The only other tile service like this at present is the National Geographic TOPO! 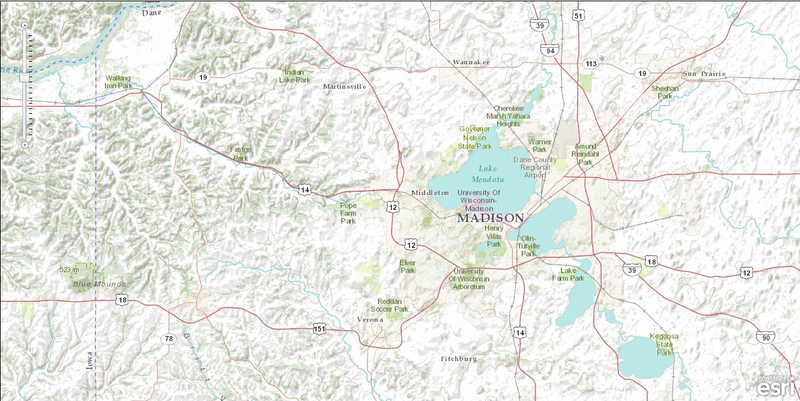 basemap through ESRI’s map server (see #4), although contours are also available in Google’s Terrain basemap, and both traditional USGS quads and updated US Topo orthophoto quads are available to download as GeoPDFs from the USGS map locator website or The National Map. 13. Minor players: There are a few tile services that I elected not to cover in depth here because although they provide coverage of the U.S., they were developed more for other parts of the world and don’t provide anything new or unique. Two European ones are ViaMichelin—the quality of which befits a tire manufacturer—and France-based Mappy. An interesting Australia-based service is Nearmap, which provides satellite imagery—high-resolution for Australian cities, low-res NASA data everywhere else—from multiple timestamps. Their worldwide coverage only consists of monthly images from 2004, however. No doubt, by the time you read this, someone else will have thought of some new service to provide, and the world of web mapping will be even more confusing than it is now. 5Gosnell, D. M. 2005. Professional Development with Web APIs. Wrox Press.